Home Sports Can Peshawar Zalmi lift another PSL title? Can Peshawar Zalmi lift another PSL title? 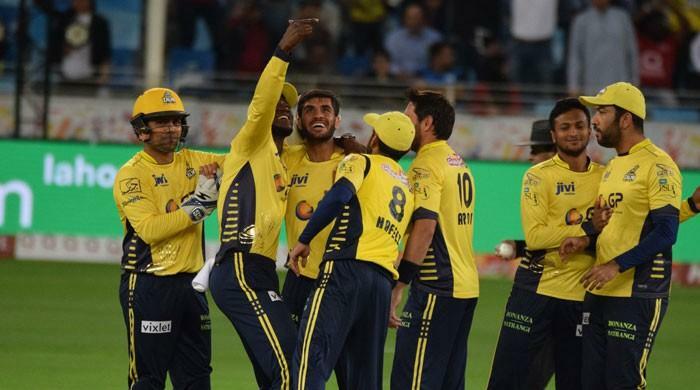 PESHAWAR: The winners of the 2017 edition of the Pakistan Super League (PSL) Peshawar Zalmi are again in a massive build-up ahead of the inauguration of the fourth edition of the mega event in the United Arab Emirates (UAE) and are confident to win their second title. Zalmi have a very good record in the three editions of the PSL. They lost in the play-offs in the first edition when Shahid Khan Afridi was the captain, however, their fortunes changed enormously when West Indian World T20 winning captain Darren Sammy was handed over the captaincy of the team in the second edition and the team claimed the title under his captaincy. Sammy also led Zalmi in the third edition and managed to reach final, but lost to Islamabad United in the last encounter. Sammy was also injured in the third edition, and Mohammad Hafeez briefly captained the team. They will certainly miss the services of Hafeez in this edition as he has opted to shift to Lahore Qalandars as their new captain. Zalmi have won 19 out of 34 matches played in the mega events and suffered loss in 14 matches. One match ended with no result. Their victory percentage is 57.57 percent only next to the two-time champions Islamabad United (62.50 percent). The team have several privileges and records in the PSL. Zalmi main wicket-keeper Kamran Akmal is leading batsman in the PSL with 929 runs. He is far ahead than the second placed Babar Azam (708) and third placed Ahmad Shahzad (705). He also holds the record of most sixes (49) in the PSL and fastest fifty (17 balls). Wahab Riaz is another among the retained players of Peshawar Zalmi who is among the top performers during the last editions. Wahab is the leading wicket-tacker in the PSL events with 48 wickets followed by Mohammad Sami (37) and Mohammad Nawaz (30). Zalmi will not have the services of Hafeez and Tamim Iqbal on the top, but they have drafted in the talented Sohaib Maqsood and Umer Amin who have very good domestic record and they have also represented the national team. The explosive Keiron Pollard and Darren Sammy will give all-round options, while in the bowling mix they have Hasan Ali, Ibtisham Sheikh and Chris Jordan. And last, but not the least, Zalmi have drafted in the experienced Misbh-ul-Haq, the ex-captain of Islamabad United, who has brought the much needed experience to the squad. Zalmi have a huge fan following in Pakistan and a large part of the Pashto-speaking UAE fans also support them. Although, they have built a balanced team going into the fourth PSL, but the other teams are equally strong with a mix of national and foreign players and reaching to the play-offs will be huge challenge for the Sammy-led team. 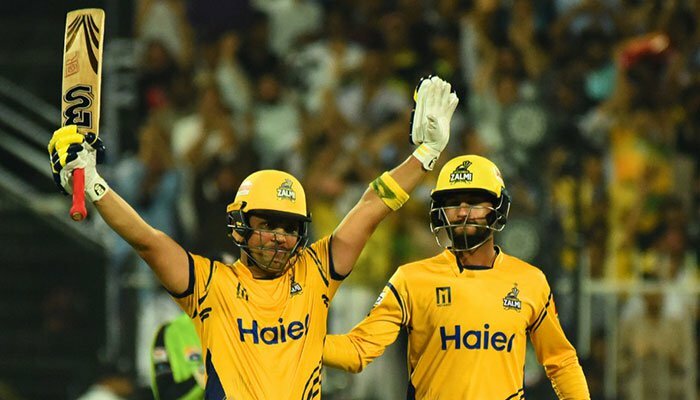 Peshawar Zalmi team: Kamran Akmal, Misbah-ul-Haq, Dawid Malan, Umer Amin, Sohaib Maqsood, Wayne Madsen, Jamal Anwar, Nabi Gul, Samiullah, Wahab Riaz, Hasan Ali, Liam Dawson, Umaid Asif, Sameen Gul, Ibtisam Sheikh, Keiron Pollard, Darren Sammy, Khalid Usman, Chris Jordan, Andre Fletcher.